Cut a bit of the bottom of the pears so they can stand up. Peel them, but leave the stem, just for show. Place the pears in a saucepan. Cover them with red wine. If you want to save a bit of red wine it is fine to dilute it with water. You can use a 1:1 mix water and wine. It will take longer to boil into syrup afterwards though. Put in the cinnamon and cloves. The more cloves the more perfumed the taste will be. Add the sugar. The red wine mixture should be fairly sweet. Boil them for approximately 1/2 hour. They must still be firm, so they are nice to chew. Poke with a sharp knife to check that they still provide little resistance. 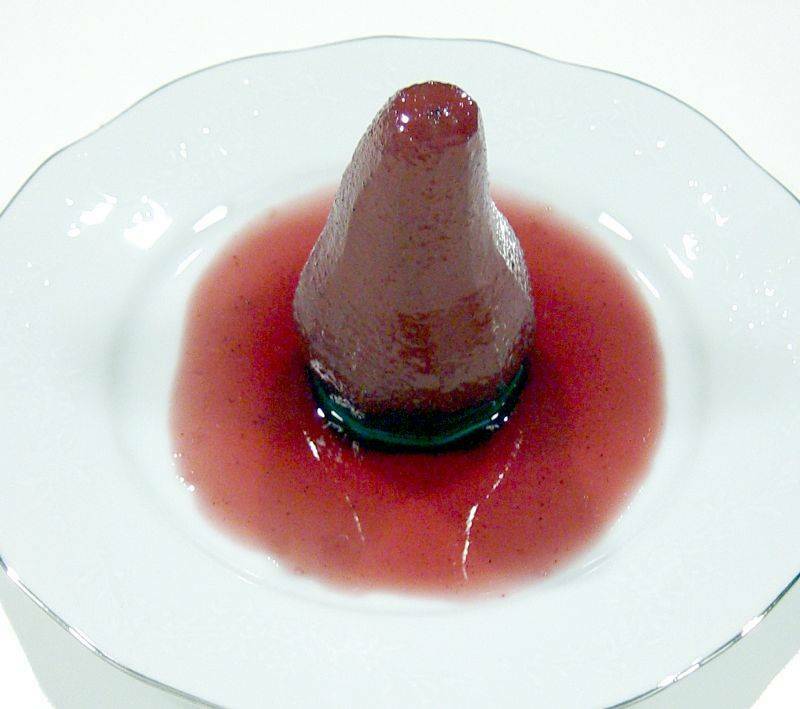 Reduce some of the red wine mixture that the pears where boiled in, so they become a more viscous syrup. Pour the syrup over the pears. Several times. Until they get a nice smooth surface. Serve a pear with a bit of syrup, and with ice cream or cake. The basic idea is to simmer peeled pears in a mulled wine along with a bit of extra sugar.